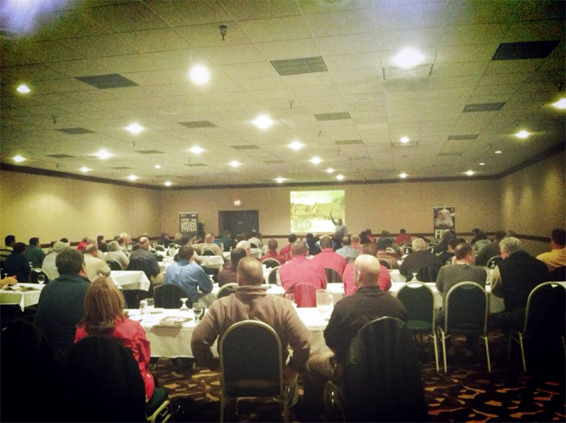 (Louisville, Ky.)--Members of the Superior Home Improvements staff attended a roofing seminar held by the GAF Materials Corporation Wednesday in order to research newly-introduced products for the spring and summer seasons of 2013. Throughout the morning segment of the seminar, regional representatives of the GAF Materials Corporation explained the technology and scientific significance behind each of its products, giving attendees an in-depth look at not only the materials, but also the most effective application methods to ensure finished projects with full quality, value and efficiency. As warm weather begins to make its way into the Central Kentucky area, members of the Superior Home Improvements staff are excited to begin improving the exterior appearance of homes and businesses throughout the area. To learn more about the exterior services offered by Superior Home Improvements, and to view an assortment of recent project pictures, click here.